Julia Vargas is a cop on a mission. 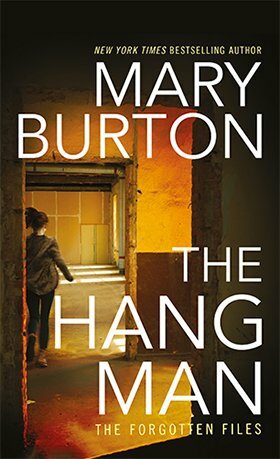 She dedicates her spare time to hunting the Hangman, a twisted serial killer who created ghoulish exhibitions of his victims and who supposedly drove her father, Detective Jim Vargas, to suicide twenty-five years ago. 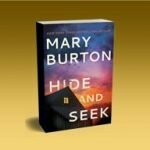 The unsolved case, always stalking her, hits dangerously close when a woman’s bones, hidden for decades, are found in a historic Richmond home along with a picture of Julia and her father. It’s the first new lead since Jim died, the sort of break Julia’s needed. Suddenly, the long dormant Hangman is back and killing again. Now, working with homicide detective and sometimes lover Tobias Novak, Julia is forced to confront her past as they work feverishly to stop him. The clock is ticking as the Hangman fashions the noose for his next victim. And both Julia and Nick believe it’s meant for her. He followed the pair to the stairs, and when Dr. McGowan moved to heft her end of the stretcher, he nudged her aside and took the weight. It was unwieldy more than heavy and slow going up the stairs. It took maneuvering to get the stretcher around the tight kitchen door corner. When they cleared it, he and the assistant carried the gurney out to the sidewalk. Since Novak and Julia had started sleeping together, he had resisted the idea of learning more about Julia Vargas. He respected her privacy and halfheartedly believed she would eventually open up to him about herself. Now, asking about her didn’t feel as intrusive. She was part of his case, so it was business. And when it came to a case, all bets were off.